In order to provide a higher quality experience for both the missionary and prospective members they reach, changes are coming to the LDS Missionary Program as we know it. Church officials have stated that these changes are being made in order to improve the overall missionary experience and safety. The first and arguably the most important of these changes will be the type of items addressed during the interview stage of preparation. The questions will be uniform throughout the church rather than subject to the individuals conducting the interviews. Prospective missionaries will know the questions in advance, giving them the opportunity to work on weak areas and develop the routines and habits they will need to be prepared for an honest interview. Questions will include topics such as physical safety, health, and emotional well-being. Following President Thomas S. Monson’s announcement that the missionary age requirement had dropped from 19 years to 18 years for young men and from 21 years to 20 years for young women, there was what the LDS church has called “The Surge”. Active missionary service soared from 58,000 to 88,000 in just a few years time. There are currently more than 400 missions throughout the world. This number will be reduced as boundaries are shifted. Some missions will close now that the surge has passed and numbers are at a more steady level. The number of mission training centers has increased, however, with the expansions of the Provo, Utah and Philippines centers, and the addition of a center in Ghana. Though the gospel itself is steady and unchanging, the means by which to find contacts and teach the gospel principles is ever-changing. Electronics and cloud technologies are opening up ways not previously imagined. Facebook is already a big part of the change. The church is getting guidance from leaders in technology to open up new ways of reaching out. For example, there are websites where people can address such concerns as “‘How can I find peace in my life?’ and ‘Is there a God?’ Missionaries will be able to answer and give clarity that may help lead people to Christ. 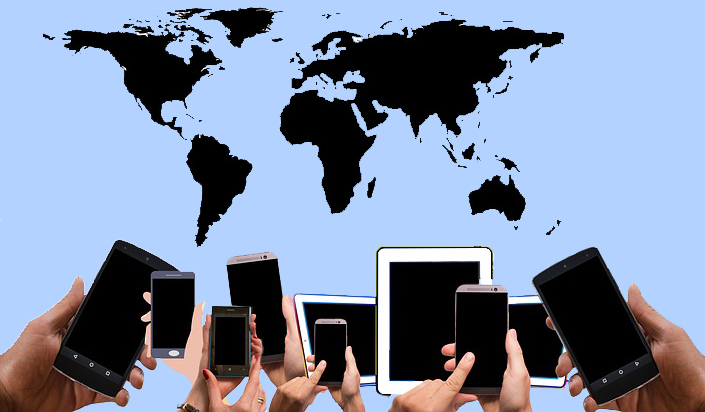 Smartphones are replacing tablets, and shortly most missionaries will enter the mission prepared with a smartphone. Finding the one is still the goal of each missionary. With the scheduled changes, this will be a more efficient and effective process and a more rewarding experience for the missionaries. As these new changes come about we here at Mission Tracker would love to help you follow your missionary’s progress.